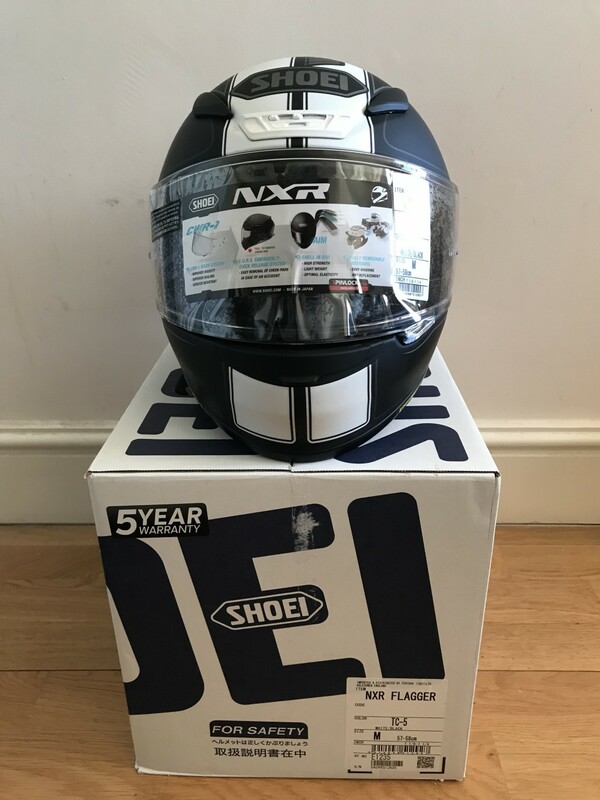 I am selling this Shoei NXR Flagger TC5 , it is as new & totally mint condition. 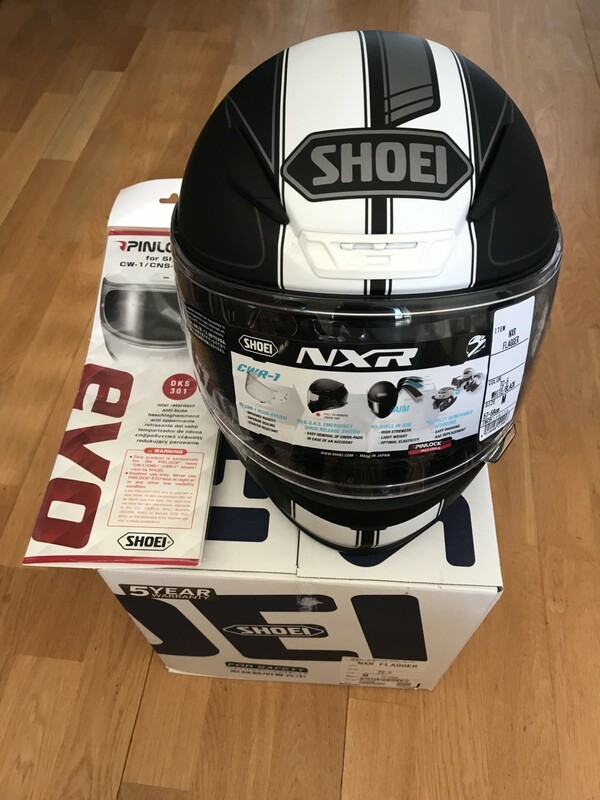 It will come supplied in the original box with all the original accessories , including sealed brand new pinlock. 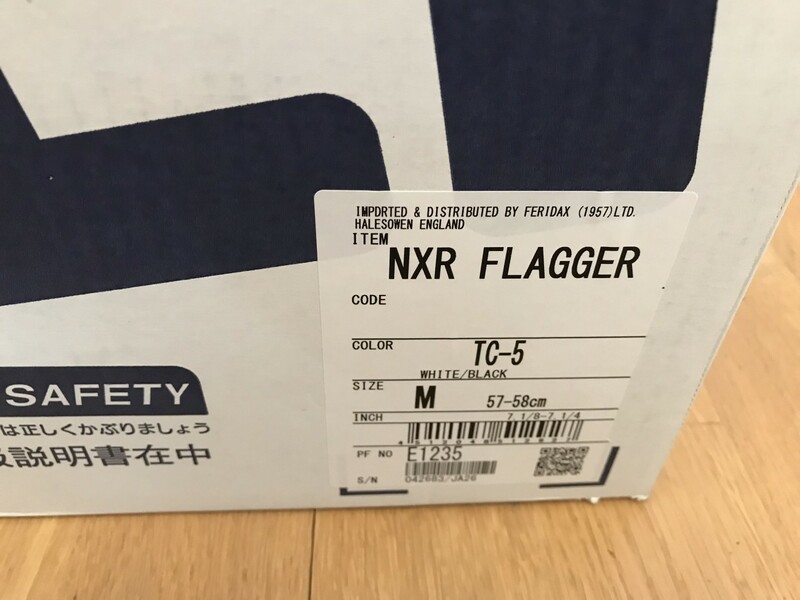 This was an unwanted gift. 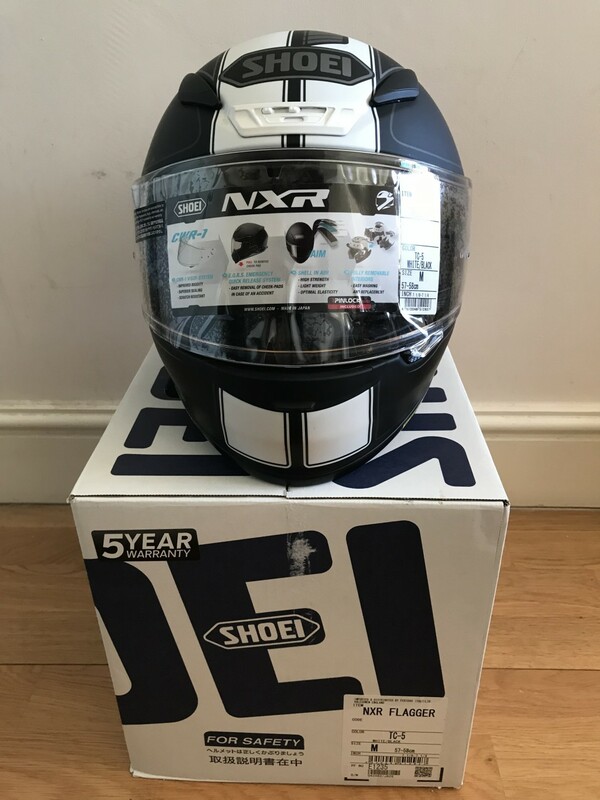 The Shoei NXR Flagger TC5 normally RRP at £350.00 & i will sell for £175.00.